There are many reasons to consider replacing your home’s siding. Maybe the layer under your siding has started to rot, making the siding look warped. Maybe your heating and cooling bills are out of control. 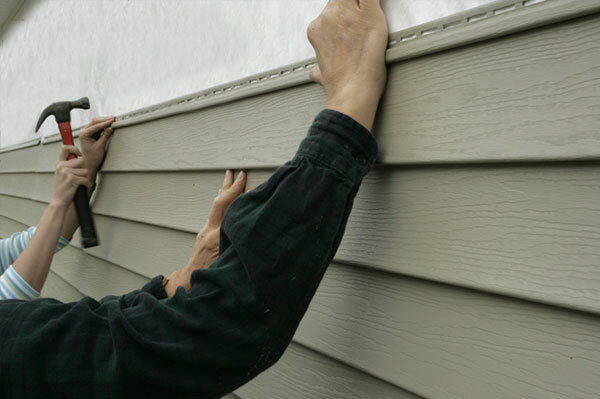 Maybe your siding is started to become loose or develop cracks. Maybe bubbles have started forming in your siding, or there are holes in it. Maybe mold, mildew or some other fungus has started growing on your siding. Whatever your reason is for looking into new siding installation in Aurora, make sure you turn to a company you can trust by turning to the professionals at Sorensen Roofing & Exteriors. We’re proud to be your go-to exteriors company, and we have what it takes to meet all of your siding needs, whether it’s replacement, new installation or anything else. Experience the benefits of new siding on your home! Is your old siding looking old and worn? Are you in the market for siding installation for a new home? No matter what your siding needs may be, the team at Sorensen Roofing & Exteriors in Aurora has you covered. New siding is beneficial in more ways than you might think. One of the most obvious benefits of new siding is what it can do for your curb appeal, particularly if your older siding was starting to look a little worse for the wear. But, the benefits of siding go well beyond aesthetics. Siding, believe it or not, also plays a huge role in your home’s energy efficiency, and replacing your home’s existing siding could actually help you save more money and more energy every month, particularly if you choose insulated siding. Some additional benefits of new siding include fewer maintenance needs, added resistance to mold and mildew, added value to your home and many, many more! Let us help you experience the many benefits of siding installation on your Aurora home. Contact us today at (970) 251-0911 for your free estimate.